After the highly-controversial firing of former VA Secretary Shulkin and the Ronny Jackson scandals which followed, we are ready for the chaos at the Department of Veterans Affairs (“VA”) to end so it can get back to fulfilling its mission: caring for veterans. 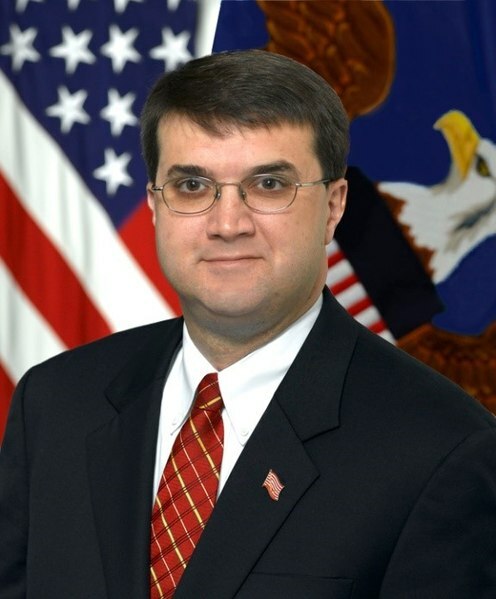 However, Trump’s nomination of Robert Wilkie, the VA’s current acting secretary, brings further concern and uncertainty. As reported by CNN, Trump announced his intention to nominate Wilkie at a prison reform event, immediately after “expressing his ‘sadness and heartbreak’ over the Santa Fe, Texas school shooting. Everyone, including Wilkie was taken by surprise. There doesn’t seem to be anything controversial about Wilkie’s qualifications. As reported by The Veterans’ of Foreign Wars (“VFW”), he is “a lawyer . . . with extensive national security experience in both the legislative and executive branches of government.” Further, he is the Under Secretary of Defense for Personnel and Readiness, an Air Force Reserve officer, and a former Navy Reserve intelligence officer. Since beginning his work as acting secretary for the VA, he has received praise from White House officials and veterans’ groups alike. However, the fact that he is the current acting secretary makes his nomination precarious. Some veterans’ groups, such as VoteVets, argue that President Trump broke the law when he chose Wilkie as acting secretary. The group asserts that, per the Federal Vacancies Reform Act, former VA Secretary Shulkin’s post should have been filled by Thomas Bowman, the department’s top deputy. Now that Trump has announced his intention to nominate Wilkie to serve permanently as VA Secretary, a new problem has arisen. Because Wilkie “cannot be nominated . . . while serving as acting secretary,” he will soon need to vacate his current position.” Thus, the question looms – who will be the next acting secretary? VoteVets and others fear that President Trump will once again ignore the Federal Vacancies Reform Act by failing to appoint Bowman to the post. Georgia Senator Isakson stated that he plans to hold confirmation hearings for Wilkie the week of June 4th. At the Law Offices of Attorney Sean Kendall, we are dedicated to caring for veterans by ensuring that they receive the benefits they deserve, no matter how chaotic things become at the VA. If you have a service-connected disability, including physical injuries or mental trauma, and you have yet to apply for benefits because of the chaos at the VA, we encourage you to apply right away. After all, you served, and you absolutely deserve your benefits. If you receive, or if you have already received, a denial or an inaccurate rating decision, we are here to help. We work with veterans to skillfully develop their cases and successfully appeal erroneous VA decisions, both within the Rapid Appeals Modernization Program (“RAMP”) and in the legacy program. Once you receive your initial VA decision, send us a note or give us a call at (877) 629-1712 to discuss the possibility of an appeal.